and Community Skaloti by Skaloti and Argoules. Sfakia is notorious for the harshness of the environment and the courageous people. The Sfakians are also famous for their hospitality and generosity towards guests, resulting in a shift from traditional labour towards tourism, with now many families running their own hotel or restaurant. 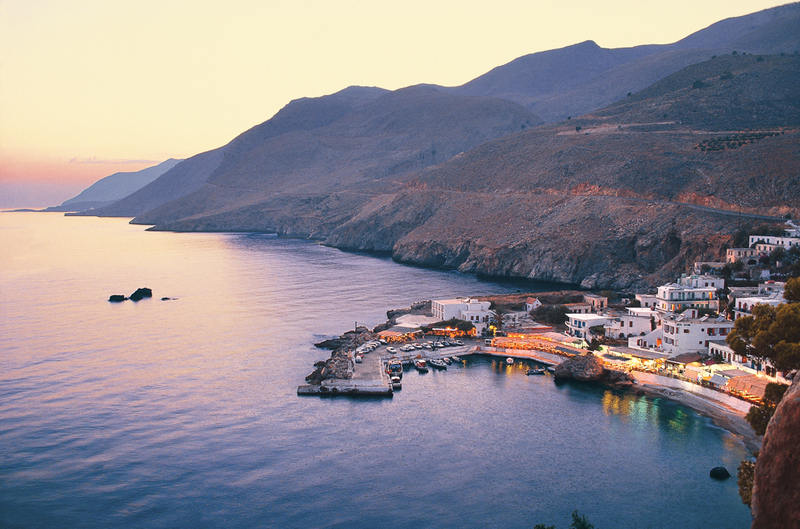 Sfakia is considered to be one of the few places in Greece that have never been fully occupied by foreign powers. It’s also famous as one of the centers of the resistance against Venetians and the the Ottoman Empire. Travelers will definitely hear stories about the courage of locals who fought all invaders. On of the most import heroes of Cretan history was born in Anopolis, a village near Hóra Sfakíon. 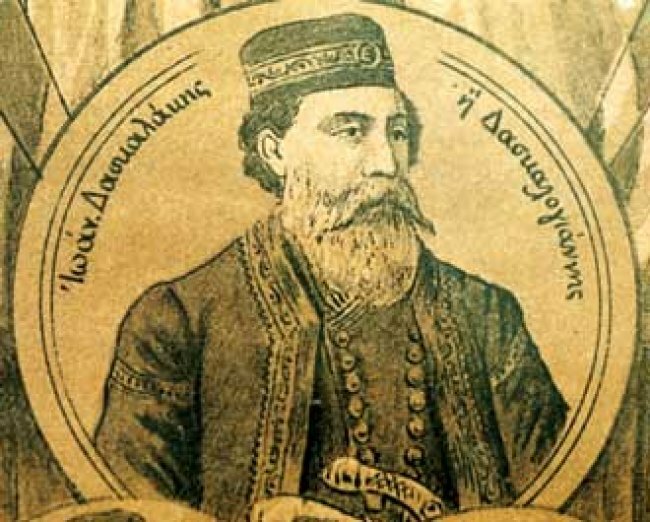 Daskalogiannis (Ioannis Vlachos), led one of the first revolts against Ottoman rule in the 18th century. On the orders of Ottoman Empire, he was tortured outside Heraklion’s harbor fortress, skinned alive, and executed οn 17 June 1771. He is said to have suffered the torture in silence. Daskalogiannis was immortalized in several folk tales and songs. The international airport of Chania bears his name. A famous legend and unexplained phenomenon describes a procession of visions -called Drosoulites seen in the village Frangokastello as troops that died in the war of independence against the Turks. The phenomenon is rumored to be visible every year, on the anniversary of the Battle of Frangokastello (17 May 1828) or even in early June near a small village in southern Crete. The visions, as described by witnesses, consist of a group of human-like shadows dressed in black, walking or riding, armed with weapons, moving from the monastery of Agios Charalambos and advancing towards the old fort, Frangokastello. 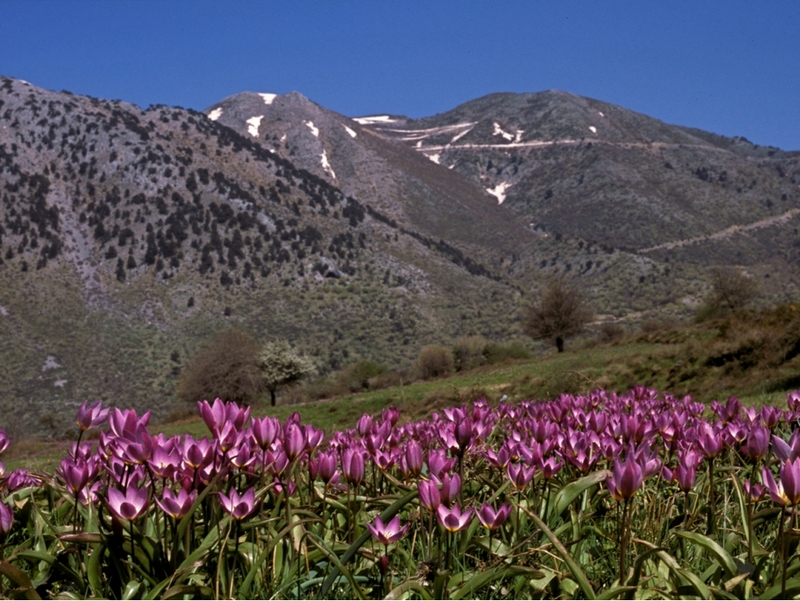 The region of Sfakia is a very interesting destination for study and observation of plants. The crowd steep and imposing canyon, the rocky peaks and generally the variety of landscapes and habitats contribute not only to the growth of many different plants and in the presence of several rare, threatened and endemic plants of Crete. The flora of Sfakia is characterized by a great variety of species and includes trees, alpine species, edible herbs, aromatic and medicinal herbs, orchids, shrubs phryganic, beach items, chasmophytes (plants that grow on cliffs) and others. 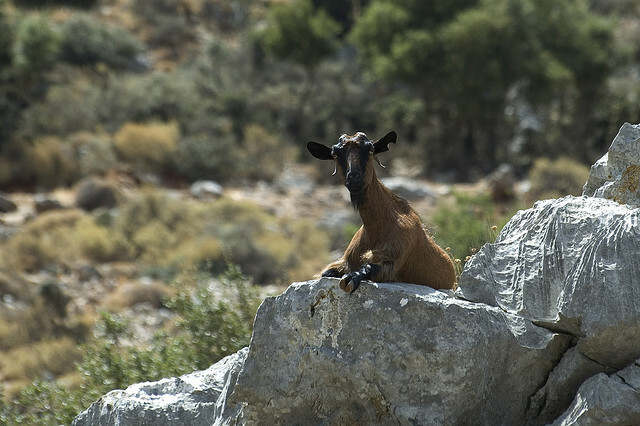 Sfakia is an area which, owing to the great natural terrain, has a large number of rare species of wild and tame animals. Let’s look at the most important. 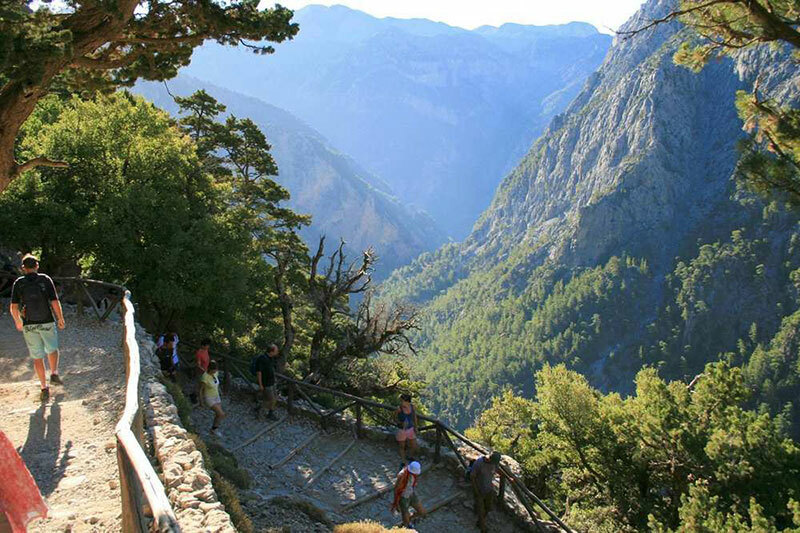 Samaria, the most famous canyon of Crete is located in Sfakia. Samaria Gorge is the biggest, most impressive and most beautiful gorge in Europe, which since 1962 has been designated a national park since 2001 and is part of the European network Natura 2000. There are ten more canyons in the region of Sfakia: Aradaina, Skalotiano, Papa Lagos, Borer, Katre Lagos, Imbros, Branch, Eligia, Kapnis and Iligas. The Sfakian dialect is much like any other Creten dialect, and yet it is also quite different. One oddity present in the Sfakian dialect is how it treats letter “L” Before an /il or an /e/, ⟨λ⟩ is a lateral [l]. However, before an /a/, /o/, or /u/, it becomes an approximant [ɹ], much like the English “r” sound. For example, “θάλασσα” (thalassa, meaning “sea”). This feature is not shared anywhere else, except for certain villages in the Aegean, including the village of Apiranthos on the Cyladic island of Naxos. 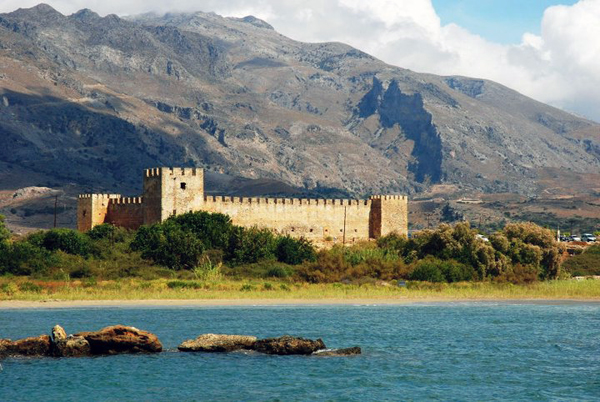 Indeed, the Sfakians believe that hundreds of years ago, probably after the Ottoman conquest of Constantinople, a group of Sfakians left Crete and came to Apiranthos on Naxos. 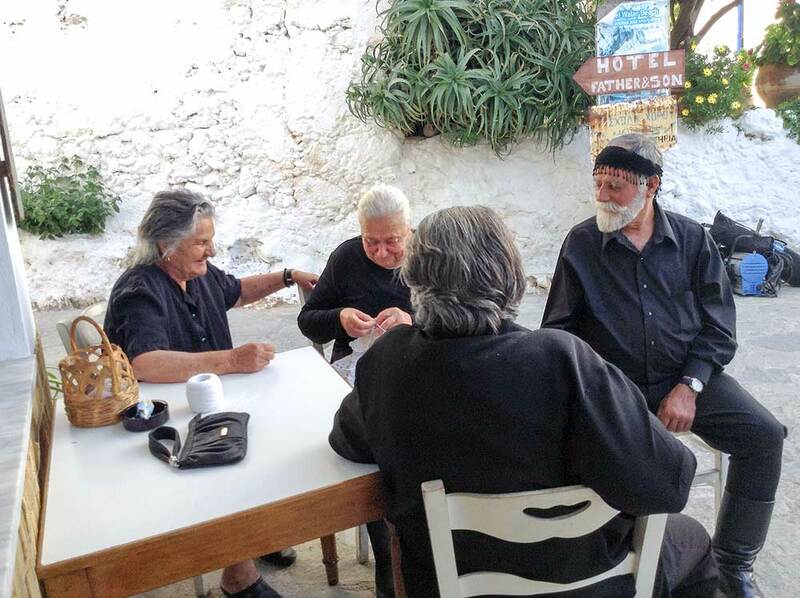 The cultures of Sfakia and Apiranthos bear many striking similarities, not least of which includes the aforementioned dialectal peculiarity. 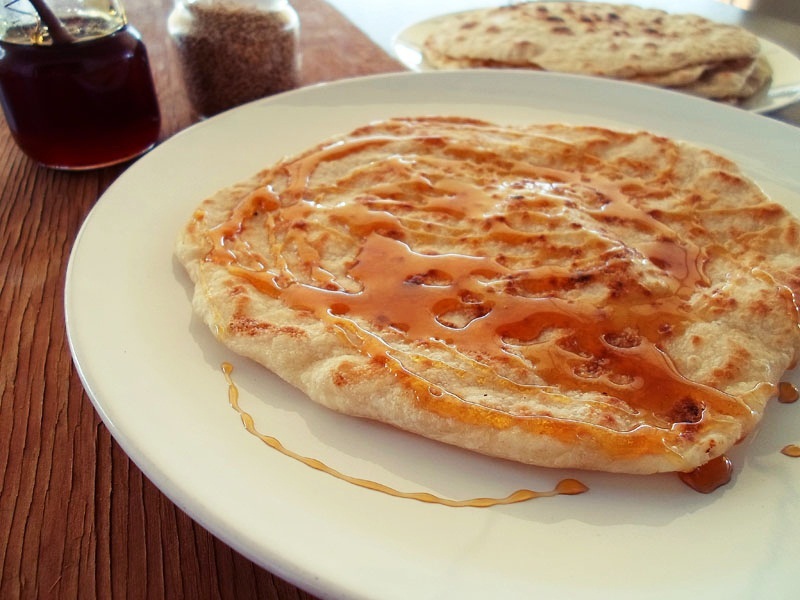 Cretan gastronomy is famous but the local speciality in Sfakia is “Sfakian Pie”, a thin pancakes filled with cream cheese and served drizzled with honey. Beside from enjoying sea and nature, there are a lot of things to do in Sfakia especially during summer months. Paragliding and Hang Gliding, Bungee jumping at Aradaina bridge, Kayak, diving and much more. You can also explore one of the impressive caves or follow the European hiking footpath E4 which crosses Crete through Sfakia´s mountains. This entry was posted in Vritomartis News and tagged Aradena Gorge, Cretan Experience, Excursion, Filaki Beach, Hiking, Imbros Gorge, Naked Hiking by Vritomartis. Bookmark the permalink.